USAA health insurance served us well when my husband lost his job. Let’s discuss who is eligible for their health insurance plan, coverage options, and more so you can make a decision. USAA health insurance really came through for me + my husband after he lost his job in 2014. His company offered us COBRA coverage at a staggering $1,837.82 per month ($1,765.85 for medical and $71.97 for dental).…a cost that not even a months’ worth of unemployment checks would cover. Paul served in the Navy – that’s where we met, when he was stationed in Japan – and so we turned to USAA health insurance. The rep I worked with was very knowledgeable, he talked us through the whole process, and in the end our dilemma was resolved for just $193.80 per month for both of us. Ever since this great experience with USAA, I’ve wanted to create a guide to their health insurance, with information on coverage, reviews, eligibility, and more. Who is Eligible for USAA Health Insurance? When Can You Apply for a USAA Health Insurance Plan? Is there Health Insurance for Veterans? Yes, USAA offers health insurance. However, they do it through other companies, rather than underwriting it themselves. United Healthcare: They offer non-qualified health plans through this company (non-qualified means these plans may not provide all the minimum essential benefits required by the Affordable Care Act law). Not all plans are available in each state, so you really have to go through the application process to see what’s available to you. There's USAA insurance eligibility (that article will help you determine who qualifies for USAA – other types of USAA insurance), and then there's USAA Health Insurance eligibility. Who qualifies for USAA health insurance plans? ANYONE can get USAA health insurance plans. You have no military affiliation whatsoever (meaning no family member served, and you never served). Amazing, right? This is because USAA itself does not underwrite their own health insurance plans – they use well-known health insurance companies for this. So, plans are for everyone. However, you will need to apply to get USAA membership. If you don’t have any military affiliations, and your family never served, then your membership ID in their system will note that, and you will only be allowed certain products. But if you did serve in the military or have a military affiliation? Then it’s best to get the full membership privileges. Active Military Member: If you’re currently serving in the U.S. Air Force, Army, Coast Guard, Marines or Navy, you can apply! Former Military Member: Veterans of these service branches are also eligible for membership (so long as the discharge type is Honorable). Family Member of Military Person: For this category, you need to be, “Widows, widowers and un-remarried former spouses of USAA members who joined USAA prior to or during the marriage and individuals whose parents joined USAA.” Wondering about USAA eligibility for siblings? I called USAA up, and was told that membership does not go horizontally, it only passes vertically. Meaning, you cannot give your siblings USAA eligibility. Also, it used to be that a family member of a military personnel could only get membership if that person had joined USAA AND purchased property insurance through them. That is no longer the case, either! Cadet or Midshipmen: If you’re a Cadet/Midshipmen at a U.S. Service Academy, in advanced ROTC or on ROTC scholarship, or an officer candidate within 24 months of commissioning, then you can apply for membership. In order to determine your own eligibility, click here – membership is free. Your Information: Your date of birth, contact information, and Social Security Number. Military Service Details: You’ll need some details about you or your family member’s military service. Military verification can include one of the following documents – DD214 Member 4 Copy (including discharge type), Discharge certificate, Leave and Earning Statement (LES), Military orders (if you’re actively serving), NGB22, or Academy appointment letter/ROTC contract. You’ll need a photo ID as well, such as a driver’s license, a state-issued ID, or a passport. For Non-U.S. Citizens: You’ll need your passport or a permanent resident card. Once you become a member, you can apply for their products/services, and enjoy a few free benefits. Short-term insurance: These are plans that cover you for 90 days or less. I can give you a perfect example of when you might need one – when I graduated college and my new employer’s health care plan didn’t kick in for 90 days (plus my plan under my mother’s health care provider was going to end), I got a short-term insurance plan to tide me over in case of emergency. These types of plans don’t get you out of the tax penalty under the Affordable Care Act, because they’re extremely basic plans. For example, they don’t offer free preventative care appointments, and they don’t allow pre-existing conditions. Note that these types of plans are not available in the following states – AK, CA, CO, DC, HI, ID, MA, MD, ME, MN, MT, ND, NH, NJ, NM, NY, RI, SD, UT, VT and WA. Comprehensive Health Insurance: This plan offers full-blown health coverage, including pre-existing conditions and preventative care costs. If you get this plan, then you will not incur the tax penalty. Note: The Tax Cuts and Jobs Act of 2018 eliminates the tax penalty you’ll incur if you don’t have a health care plan that meets Affordable Care Act requirements. However, it doesn’t take effect until 2019. Here’s a calculator to estimate how much you’ll pay in a tax penalty by choosing either a short-term insurance plan or a fixed health benefit plan. With a Comprehensive health insurance plan, you won’t incur a tax penalty. Short-term insurance: For these 90-day-or-less plans, you can apply anytime throughout the year (even without a “qualifying event”). Note that these types of plans are not available in the following states – AK, CA, CO, DC, HI, ID, MA, MD, ME, MN, MT, ND, NH, NJ, NM, NY, RI, SD, UT, VT and WA. Fixed Health Benefit Plan: This is also a plan that you can apply for anytime throughout the year, even without a qualifying “life event”. Comprehensive Health Insurance: In order to enroll in one of these plans, it must be enrollment period. Open enrollment begins on November 1, 2018 for 2019 coverage. However, if you have a qualifying life event, then you can apply outside of the enrollment period. Qualifying life events include loss of health insurance coverage, moving to a different state, the birth of a child, change in marital status, death of an immediate family member, or separating from the military. USAA offers both dental and vision insurance plans, in every state. Dental plans are offered in every single state through Cigna – here’s a page full of information for a specific plan in your state. Here’s where you can your options + apply for a USAA vision insurance (these plans are through VSP). There is health insurance for Veterans, and you should look into your free options before looking into paid options. Continued Health Care Benefit Program: This is a temporary, minimum essential coverage of between 18 – 36 months to help you transition to civilian life. Extended Family Health Care Option: This plan provides services and supplies to special needs beneficiaries. Transitional Assistance Management Program: If your TRICARE benefits have ended, or are ending, then you can get 180 days of premium-free transitional health care coverage. VA Health Insurance: You may be eligible for VA health insurance, and should apply to find out if you qualify. Note: You are not automatically enrolled as a USAA member just because you’re an active or were an active military member. You’ll need to enroll yourself if you want the benefits and/or plans discussed in this article. Yes, USAA offers Medicare Supplement Insurance, called MediGap (it’s a supplement to your Medicare coverage, not a replacement for it). Plans are offered by Medicare-approved, private health insurance companies, and can help with costs that your Medicare plan does not pay, such as copays and deductibles. In order to purchase one of these plans, you will have to have both Part A and Part B Medicare coverage. Also, prescription drug plans are separate from what we’ll discuss below. Married? You and your spouse will need to purchase separate supplement plans. Plan F: Offered everywhere. It’s the most comprehensive – no copays, no deductibles anywhere in the country if she goes to a Medicare-approved provider. Example rate for a 76-year woman is $259.76/month. Plan G: One difference between F and G; with Plan G you’re responsible with part B deductible each year. This year that deductible is $183 for Part B. Example rate for a 76-year-old woman is $210.80/month. Plan N: Responsible for Part B deductible each year, and there’s $20 copays for doctor visits and $50 copays for emergency room visits (unless admitted to hospital). And also there’s a possibility for excess charges. It would be 15%, if there are excess charges. An example is if she goes in for an operation, the surgeon is Medicare approved but brings in an anesthesiologist that is not, she’d be responsible for 15% of whatever the anesthesiologist charges. Example rate for a 76-year-old woman is $182.07/month. Plan A: This one is a very basic plan, and an example rate for a 76-year-old is $177.14/month. Hint: Plan N covers way more than Plan A and it’s just a few dollars more. Plan B: Again, this one is very basic, and it’s $211.14. It covers your Part A deductible. Plans are standardized with Medicare. The difference is the premium that you pay, the service, the claims process, things of that nature. They carry the same type of coverage. So you’ll want to check out Medicare’s Chart for more information on the various types of plans. These plans are guaranteed to be renewable. There are several benefits of becoming a USAA member. Before we go into those, let’s discuss the two different tiers of membership. You do not need to have a family member in the military, or who served, or even have served yourself in order to access USAA health insurance plans. That’s because USAA does not underwrite any of the major medical policies it offers. These policies are available for the general public. However, you’ll still need to become a member, and your member ID will be marked in their system as having no military affiliations. This means that you will be eligible for healthcare plans, life insurance plans, Medicare at 65, and some of the other perks. But you are not eligible for auto or property insurance. Discounts: You can find member-only discounts on car rentals, travel (flights, car rentals, etc. through Member Travel Privileges), home security systems, cars, moving, regular shopping (through their MemberShop Website), etc. They also have a TurboTax discount – we actually file with TurboTax each year, and I didn’t know we could get this discount until I was researching for this article!). Rewards: There’s the Member Advantages Loyalty Program, which gives you rewards you can cash in or use towards shopping, travel, and donations to military groups. Rewards are earned by you completing various financial challenges (which are meant to help put your life in better order, anyway – so a win-win!). You can also get free home value monitoring set up. 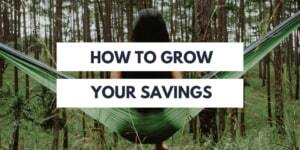 Financial Advice: USAA has a forum where you can ask financial questions and get answers. You can also fill out a questionnaire and get a Financial Readiness Score to help show you where you need work in your financial life. There’s also a Property Risk Assessment, where you input your address and they give you a small report + to-do list for how to minimize risk to your property (like buying flood insurance, elevating appliances, such as your furnace, water heater above projected flood elevation level, and what needs to go in an Emergency Preparedness Kit). Access to Services and Products Just for Members: You can get various types of insurance (such as auto, homeowner’s, and health), use their investment products, and use them for free checking/savings accounts. You can also get car loans through them (though, you know I’m a proponent of paying cash for your car!). Another cool one? If you use a real estate agent in their Real Estate Rewards Network to either buy or sell a house, then you can get $350 to $24,000 reward for doing so! This is at no additional cost to you, other than normal fees involved when buying/selling a home (I called to check). Part Ownership, with Potential Cash-Back: USAA is a reciprocal company, meaning that each member owns a tiny part of this company through their Subscriber's Account program. This means that the USAA board gets to decide how to use the amount of income the company earns each year – either to support current goals/mission of the company, or to distribute it out to its members. Yes – you can potentially receive a payment from USAA through what’s known as a Support Account distribution! In order to be eligible, you must have at least one USAA auto or property policy. And if there is a distribution? 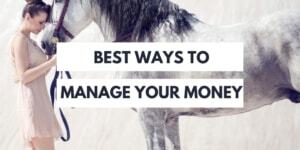 You can use it towards your insurance bill, it can be deposited into a USAA checking/savings account, or it can be deposited into an account at another banking institution. Statements of your account are sent out each February. Pssst: if you end up having 40 or more years of membership with USAA? Then you could be eligible for what’s known as a Senior Bonus distribution amount. 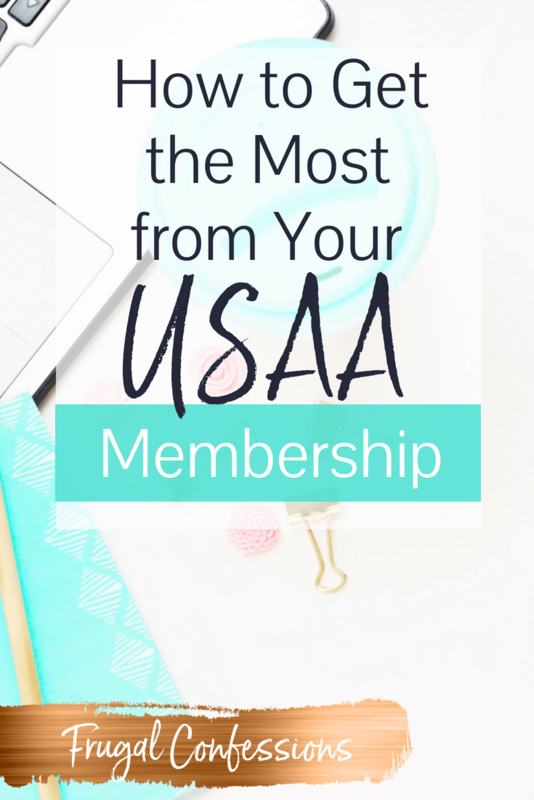 Good news here – it’s completely free to become a member with USAA! 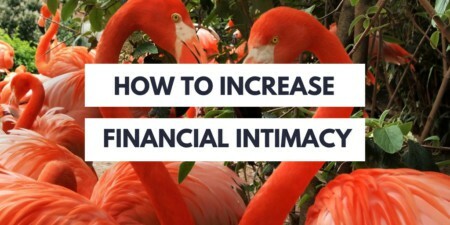 After my husband lost his job several years ago, and we received the staggering COBRA cost of $1,837.82 in the mail ($1,765.85 for medical and $71.97 for USAA dental insurance), we turned to USAA. I was able to call USAA and talk with a healthcare specialist. He was extremely knowledgeable not only of his own company’s plans, but also of the plans I could get on the Healthcare Insurance Marketplace. Note: these guys are salaried employees, and not paid on commission. This is a good thing! They’ll give you an unbiased view (or as unbiased as someone’s view can be). In fact, he even estimated the cost of what we’d pay on the exchange and whether or not we could get a subsidy with that, so that we could determine if it was better for us to go with a USAA health insurance plan or shop on the marketplace. Cost: Our cost for this plan was just $193.80 per month for both of us (we didn’t have our baby back then!). Deductibles: There is a $5,000 per person deductible, with an annual maximum of $10,000/per person out of our pockets for participating providers. Plan Payout Cap: There is no cap on the amount the insurance company will pay out. Doctor Appointments/Prescriptions/Co-Pays: There are no copays with this plan. However, the coinsurance for doctor visits and prescriptions is 50%. Referrals: Written/verbal approval to see a specialist was not required for this plan. We had a few medical claims during this time period – mainly just preventative care appointments. There were no problems with those being paid, per the new Affordable Healthcare Act policy on preventable services. All in all, we were very happy! In fact, we opted to keep this plan with USAA even when my husband found a new job because the new health insurance plan was so expensive. USAA is not all about health insurance plans; we also have our auto and home insurance policies with them. Why is that? Well, I had a hunch we were paying too much for both our auto and our homeowner’s insurance. I was really frustrated with insurance premium increases lock clockwork each six months to a year. I would call our insurance agent and ask how it could be lowered again, and would usually “win back” $13 here, or $20/month there. But overall, our prices had increased by over $1,000 since we had started with that agent over 7 years ago. I called up USAA at the beginning of 2018, and sure enough, my suspicions were correct! In fact, we saved an astounding $1,600 for our auto and homeowner’s policies. I actually got a check from our ex-insurance agent just a few weeks later for that exact amount – which was awesome! And no, we didn’t lose coverage. In fact, in several areas, we gained more coverage than what we had before (such as getting more coverage for our jewelry + roadside assistance + free car rental in case ours needs fixed, all included in that price – these are things not included in our previous policy). It’s worth it for you to shop around for all your insurance every so often – you never know what you’ll find. Can You Take Out a Life Insurance Policy on Someone Without them Knowing?